Repositories hosted on github.com cannot contain any of the malicious trees that trigger the vulnerability because we now verify and block these trees on push. The official announcement and the updated and fixed version of git is here. We used to allow committing a path ".Git/config" with Git that is running on a case sensitive filesystem, but an attempt to check out such a path with Git that runs on a case insensitive filesystem would have clobbered ".git/config", which is definitely not what the user would have expected. Git now prevents you from tracking a path with ".Git" (in any case combination) as a path component. And I just passed the last exam of this semester, which should be the last exam of my life =) Now is time to take a few days to relax and eat nice food because it will soon be christmas ^^ (or holidays, as I heard some american say to avoid saying christmas). In the picture you can see two patterns, "1" is represented by two operations in the algorithm, and one of them is squaring which happens also when you have a "0" in your exponent's binary representation. So following the computations revealed by the power trace you can guess the binary representation of the exponent. I had to read this article explaining two malloc implementations and their vulnerabilities. GNU Lib C (used in Linux) and System V AT&T (used in Solaris, IRIX). I knew the double chained list system but System V uses a different approach: binary tree and also a realfree function that completes the free function. Josip Franjković found a vulnerability in one of the file uploader of facebook. And since uploaders are always a mess to secure. Facebook just replied displaying the content of what he thought was the unzipped resume. I ran into an old post from nullc (Greg Maxwell one of the core Bitcoin developer) and it's interesting how small details might have been the fall of Mtgox. First. You can't spend bitcoins you just mined. Freshly generated Bitcoins (from mining) can not be spend until they are at least 100 blocks deep in the blockchain. This prevents the funds from vanishing forever if the chain reorgs. An orphan block is a well-formed block which is no longer part of the difficultywise-longest well-formed blockchain. The block reward in an orphaned block is no longer spendable on the difficultywise-longest well-formed blockchain; therefore whoever mined that block does not actually get the reward (or the transaction fees). This phenomenon must be taken into account by mining pools that use any payout strategy other than "proportional". This issue arises from several sources, one of them being OpenSSL's willingness to accept and make sense of signatures with invalid encodings. A normal ECDSA signature encodes two large integers, the encoding isn't constant length— if there are leading zeros you are supposed to drop them. It's easy to write software that assumes the signature will be a constant length and then leave extra leading zeros in them. Airbus made a "private" challenge called « Trust the future » and accessible only by some selected schools (epitech, insa, and others). I wasn't invited to participate but there was a "crypto" challenge I thought was interesting. Since the challenge just finished I'm posting the write up. We have 4 certificates and a challenge1 file that seems to be a s/mime file of a pkcs#7 enveloped-data object. The application/pkcs7-mime type is used to carry CMS objects of several types including envelopedData and signedData. The details of constructing these entities is described in subsequent sections. This section describes the general characteristics of the application/pkcs7-mime type. We dump the info of each certificates in human readable format, openssl has commands for that (I think certtool does as well, but I'm on windows using cmder and openssl is the one included). We see that alice, bob and charly use the same rsa exponent (3). If you're familiar with RSA (and it's highly probable you are if you read this blog) you can skip this section. RSA is an asymmetric encryption scheme (also used as a signature). It works by generating a set of private key/public key, the private key is of course kept private and the public key is publicly disclosed. If someone wants to send us a private message he can encrypt it with our public key and we will be able to decrypt it with the private key. The public key is the pair of number (n, e) where n is called the modulus and e is called the exponent. If we want to encrypt a message m with the public key we "basically" do c = m^e modulo n and send c. To decrypt it we use our private key d like this: m = c^d modulo n.
The math behind this is that n is generated from two secret primes p and q (big enough) n = p x q and d = e^-1 modulo (p-1)(q-1), (p-1)(q-1) being phi(n) being the order of the multiplicative group Z/nZ. The security comes from the fact that it's Computationally Hard to find the inverse of e if we don't know p and q. By the way, Heartbleed (a recent attack on openssl) led to finding one of the prime, thus the entire decomposition of n.
Textbook RSA is also deterministic and thus not semantically secure (see my previous post) + it is malleable: imagine you intercept c, and of course you know (n, e) (the public key). You could compute c' = 2^e * c = 2^e * m^e = (2m)^e modulo n, this would correctly decrypt as 2m. Thus, to counter those in practice, RSA Encrytion uses padding (usually OAEP) to make it probabilist and not malleable. Which means the same message was sent to three recipients, identified by their serial number which we recognize as being our alice, bob and charly. Which means that the data sent (after this dump) is encrypted by 3DES version 3 (three different keys) in CBC mode with an IV 01D4CE3AF4D17ABB. I like to put reminders like this so you don't have to switch to Wikipedia if you don't remember what are those letters. CBC is a mode of operation. 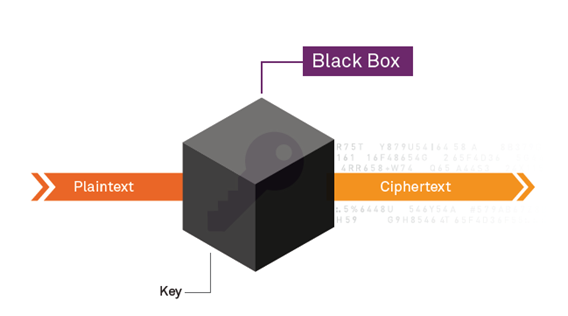 A block cipher can only encrypt/decrypt blocks of a certain size (64bits with DES). If you want to do more (or less) you have to use a mode of operation (and a padding system). We have a system with one unknown: the message. The Chinese Remainder Theorem works in a similar fashion to Lagrange Interpolation (anecdote time: it is used in Shamir's Secret Sharing). A brief explanation: We have `c1 = m^3 modulo n1, to place it in a formula modulo n1 * n2 * n3 we have to cancel it when it's modulo n2 or modulo n3. How to make something congruent to zero when its modulo n2 or n3 ? Make it a multiple of n2 or n3. So we multiply c1 with n2 and n3. But then when it will be modulo n1 we will have the value c1 * n2 * n3 which is not correct (c1 = m^3 modulo n1 !). So let's cancel the n2 and n3 with their inverse modulo n1. We then have c1 * n2 * n3 * ((n2 * n3)^-1 [n1]). We do this with all the equations to find the bigger equation. This is the Chinese Remainder Theorem. Simple no? That's right, we can get rid of the modulo. We then do a normal cubic root and we find m.
The numbers x,y are such that gcd = ax+by.""" The xgcd function is included in sage but here I use Python so I included it in the code. We need to use the decimal package to calculate the cubic root because our number is too big. A block type BT, a padding string PS, and the data D shall be formatted into an octet string EB, the encryption block. The block type BT shall be a single octet indicating the structure of the encryption block. For this version of the document it shall have value 00, 01, or 02. For a private- key operation, the block type shall be 00 or 01. For a public-key operation, it shall be 02. The padding string PS shall consist of k-3-||D|| octets. For block type 00, the octets shall have value 00; for block type 01, they shall have value FF; and for block type 02, they shall be pseudorandomly generated and nonzero. This makes the length of the encryption block EB equal to k.
We have our 3DES key: 4f8957408f0ea202c785b95e206b3ba8da3dba7aea08dca1 to use. Dan Boneh, one of my professor (that I've never met though (coursera)) is speaking there! So you can tell what someone is typing just by analyzing the sound of the fingers on the keyboard, from a certain distance. If you observe someone typing at his computer from an outside window, you can analyze the reflections in many objects (glass teapots, plastic bottles, spoons!!! and even eyes). Like we weren't worried enough. I just turned in my cryptanalysis project: A Linear Cryptanalysis of A5/2 with Sage. Had to write a rapport in LaTeX. Now I have to finish the challenges over at Microcorruption and produce a write up in LaTeX as well. Now let's finish Microcorruption (or at least try :D it's getting pretty hard). PS: I use Markdown for everything. This blog is written in Markdown and then converted to HTML. I'm also writing a book in Markdown. Well Markdown is awesome. In my Software Security class that looks like a continuous game in assembly, we're now learning format string and heap overflow through Protostar a set of challenges on those attacks. It's a nice addition to crackmes and microcorruption. I was asked during an interview how to build a system where Alice could send encrypted messages to Bob. And I was asked to think outloud. So I imagined a system where both Alice and Bob would have a set of (public key, private key). I thought of RSA as they all use RSA but ECIES (Elliptic Curve Integrated Encryption Scheme) would be more secure for smaller keys. Although here ECIES is not a "pure" asymmetric encryption scheme and Elgamal with ECs might be better. Once one wants to communicate he could send a "hello" request and a handshake protocol could take place (to generate a symmetric encryption key (called a session key in this case)). I imagined that two session keys would be generated by each end. Different set of keys depending on the direction. One for encrypting the messages and one for making the MAC (that would be then appended to the encrypted message. So we EtM (Encrypt-then-Mac)). Then those keys would be encrypted with the public signature of the other one and sent over the wire like this. And Let's add a signature so we can get authentication and they also won't get tampered. Let's use ECDSA (Elliptic Curve Digital Signature Algorithm) for that. Although I'm wondering if two symmetric keys for encrypting messages according to the direction is really useful. I was then asked to think about renewal of keys. Well, the public keys of Alice and Bob are long term keys so I didn't bother with that. About the symmetric keys? What about their TTL (Time To Live)? My interviewer was nice enough to give me some clues: "It depends on the quantity of messages you encrypt in that time also." So I thought. Why not using AES in CTR mode. So that after a certain number of iteration we would just regenerate the symmetric keys. I was then asked to think about Forward Secrecy. Well I knew the problem it was solving but didn't know it was solving it. Mark Stamp (a professor of cryptography in California (how many awesome cryptography professors are in California? Seriously?)) kindly uploaded this video of one of his class on "Perfect Forward Secrecy". So here the trick would be to do an Ephemeral Diffie-Hellman to use a different session key everytime we send something. This EDH would of course be encrypted as well by our public key system so the attacker would first need to get the private keys to see that EDH.